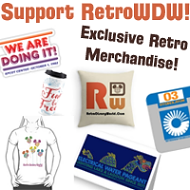 With EPCOT Center turning 35 years old yesterday we wanted to share with you a project we completed recently but decided to hold off until now for release. 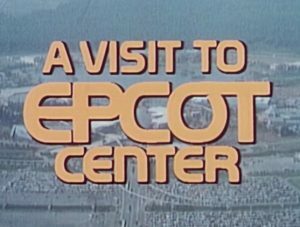 We were able to convert and restore the 1983 film “A Visit to EPCOT Center”. What makes this special is this restoration was completed from a 16mm print of the film, later it was released on home movie and the quality was sub-par to say the least. The audio is a big “crackly” but we think it gives a more vintage “movie” feel to the production. This is a decent size promotional film running just short of 20 minutes. The footage of a park that has changed in many ways is amazing, along with some rare construction footage…and you may see some things that haven’t changed in 35 years! Great film! Wish there were more information on Horizons! Horizons wasn’t even open when they made this film; its all concept art and models. Was this actually SHOT on film? It looks like an Image Transform print, which is a video-to-film service that Walt Disney Educational Media used in the 1980’s. I have Image Transform prints of two Silly Symphonies that WDEM released. I would love to see those films @Ray Faiola. What Silly Symphony films are they? Awesome! One of my two holy grails I’ve wanted to see in HD! A Dream Called Walt Disney World is the other. I’ve only seen one 16mm print show up on Youtube, but its only in 480p and not as clean as your guys stuff. That was fantastic! 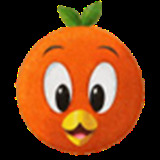 Brought me back to when I first went to Epcot Centre with my father in 84. Thanks for the memories!